Cavus foot pain can be a difficult and challenging problem. It is far less common to see a high arch patient with foot pain than a low arch patient with foot pain. As a result, high arch feet are less commonly treated or may be less understood than the common flatfoot. Furthermore, Charcot Marie Tooth muscular dystrophy has been associated with high arch feet and may lead to muscle imbalance issues that make the high arch foot more difficult to diagnose and treat. Accordingly, let us take a closer look at the workup and treatment options of the high arch foot. Patients who present with symptomatic high arch feet often note pain on the lateral column of the foot, instability of the lateral ankle and pain under the ball of the foot, especially under the first metatarsal bone. Problems such as plantar fasciitis can also occur with high arch flexible feet as the arch stretches during the gait cycle, causing stretching of the fascia. Patients usually feel like they are falling over on the outside of the ankle and may even find swelling and pain in the lateral foot and ankle. Severe cases of cavus may even lead to lateral column stress fractures. The diagnosis of symptoms occurs through conducting a history and physical in combination with diagnostic testing. A history of familial high arches and any muscular dystrophy type symptoms in the family are important to consider. The type of pain and what causes the pain to begin are also important to consider. For example, patients who have pain with walking in comparison to only having pain when running may need more aggressive treatment than patients who only have pain with high impact exercises. Examination of the muscle groups and muscle strength is important. Furthermore, pain along the peroneal tendons may be a sign of a peroneal tendon tear. This may result in a cavus foot much like a posterior tibial tendon dysfunction may result in flatfoot. Instability of the lateral ankle may also lead to a cavus foot position as the talus deviates into a varus position due to the laxity of the lateral ankle ligaments. Finally, a plantarflexed first metatarsal or a varus heel may lead to a fixed cavus position due to a structural deformity. It is rare to see a pan-forefoot cavus deformity of all the metatarsals but one must also consider this possibility. In general, the first ray is plantarflexed far more often than all the metatarsals. Diagnostic testing often includes magnetic resonance imaging (MRI) if one suspects a peroneal tendon problem or ankle instability. Perform electromyography and nerve conduction velocity testing if you suspect Charcot Marie Tooth. If a high suspicion of muscular dystrophy is present, perform a sural nerve biopsy. Conservative care is highly successful in the cavus high arch foot. An orthotic with a high lateral heel flange, a valgus post and a sub-first metatarsal cutout can balance the foot. Often, the first ray is plantarflexed and a cutout of the first metatarsal head is essential for forefoot balancing. In severe ankle instability cases, an over the counter ankle-foot orthotic or a custom ankle-foot orthotic can be beneficial in balancing the foot and ankle. Consideration of a first ray cutout should also be part of the bracing process. In severe cases of cavus, surgical intervention is often necessary. The main consideration for surgical planning is the cause of the cavus deformity. Consider whether it is a structural deformity or one caused by an underlying traumatic event such as a peroneal tendon tear or ankle instability. Furthermore, in either a structural or traumatic case, it is important to consider if the cavus is from a plantarflexed first ray only, a calcaneal varus only or a combination of the two deformities together. After considering all the information, one can plan for surgery. Ideally, surgeons should first repair the source of the traumatic event such as the ankle instability or peroneal tear in order to stabilize the laxity about the ankle and subsequently judge the level of deformity in the foot. For example, a varus talus position caused by ankle instability will often make the cavus foot position look worse prior to repair of the lateral collaterals than after repair of the collaterals. After repositioning and stabilizing the talus, one can better judge the varus of the heel and first metatarsal position. Ankle stabilization procedures often occur via a primary lateral ankle ligament repair or Brostrom procedure. The surgeon should repair both anterior and lateral ankle ligaments in order to stabilize the talus fully. If one suspects a peroneal tear of the brevis or finds this on MRI, perform a repair of the peroneal tendon. If the peroneal brevis tendon is severely torn, one can suture together the peroneus longus and brevis tendons. If severe tightness of peroneus longus is present, the tendon may be pulling the first metatarsal into a plantarflexed position and accentuating the deformity. In such cases, one may perform tenodesis on the peroneus longus to the brevis. Alternately, the surgeon may cut and transfer the peroneus longus to the brevis tendon fully to act as an everter and not a plantarflexor of the first ray. After stabilizing the ankle, judge the position of the calcaneus and first metatarsal position. It is important to consider that a lateral calcaneal wedge osteotomy procedure will put the foot in greater valgus alignment and increase the plantarflexed position of the first metatarsal. If the first ray is the major culprit, evaluate this first. If the heel is in greater varus, realign this first. Use a traditional Dwyer osteotomy with a lateral based wedge to shift the calcaneal tubercle laterally and fixation occurs with internal screw fixation. Usually one screw is sufficient if the lateral cortex is intact but the surgeon may use two screws if more stability is necessary. In cases of first ray elevation osteotomies, elevate the ray with a dorsally based wedge osteotomy at the first metatarsal base. Place a K-wire at the plantar cortex of the first metatarsal base to act as a guide just distal to the first metatarsocuneiform joint region and remove a wedge. Fine tune the amount of elevation by resecting a larger wedge as necessary. Achieve fixation with one or two dorsal to plantar screws as needed. It is rare but at times a stripping of the plantar fascia and possibly the plantar musculature may be necessary from the plantar heel if the foot is in a severe cavus with tight plantar soft tissue structures. One can perform this through a lateral calcaneal osteotomy incision with a Steindler stripping procedure but this is rarely necessary. In cases of severe Charcot Marie Tooth, there may be rare instances of excessive weakness of the anterior tibial tendon and peroneal tendons, resulting in a relatively strong posterior tibial tendon adding to the cavovarus foot position. In such cases, it may be beneficial for the surgeon to perform a posterior tibial tendon transfer through the interosseous membrane between the tibia and fibula to the dorsum of the foot. Commonly, one transfers the tendon to the lateral cuneiform and fixates it with a Bio-Tenodesis screw (Arthrex). The posterior tibial tendon transfer decreases the cavovarus stress on the foot and allows improved lateral and dorsal movement of the foot. 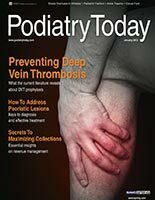 Diagnosing the cause of the cavus foot position is essential prior to surgical planning. Usually, performing a laterally based calcaneal osteotomy and a distally based metatarsal osteotomy together or each procedure alone can help position the foot properly. One may add a posterior tibial tendon transfer and plantar foot muscle stripping for adjunct stabilization. It is essential to consider a peroneal tendon tear/dysfunction and ankle instability as essential causes of cavus foot position in the non-Charcot Marie Tooth foot.